Offshore Crane Operator course consists of 2 days theory on crane mechanism, safety cutouts, load stability and 3 days hands on training on 30 Ton Crane at quayside. Candidate is made to move loads by crane from one barricaded square to another barricaded square. It is ensured that by the end of the training candidate is able to transfer load without touching the barricade chain so as to gain control on how to pickup, steady and avoid swing of the load. Internationally acceptable IMCA Crane Operator's Logbook for Offshore Vessels is issued to the candidates. Crane Operator Course is conducted as per publicly available API RP 2D / OISD RP 205 / BS 7121 Part 11 guidelines. (2) Explain basic crane operations terminology, to include: luffing/jibbing, hoisting and slewing. (3) Identify main crane components, their location on a crane and explain their principle function(s). (4) Explain typical crane inspection criteria, pre-start checks, pre-operational checks, running checks, shutdown procedure. (5) Explain basic crane principles of stability and configurations. (6) Identify typical crane safety devices and explain their purpose; to include: luff/jibb, hoist and slew limiting systems. (7) Define crane safe working load (SWL) and state how it is identified. (8) Explain basic crane operating principles; to include load charts. (9) Interpret (regionally-recognised) banksman hand signals. (10) State the universal communications protocols and procedures used for handheld radios. (11) How to interpret information from crane rated capacity indicators and explain their how they are used. (12) Explain how to visually inspect the basic condition and spooling of crane wire rope. (13) Identify typical conflicting activities which may affect the lifting operations. (14) Identify environmental conditions liable to affect the lifting operation. (16) Explain crane operating techniques, to include: swing control, height judgment, and control coordination. (1) Identify the relevant legislation that applies to crane lifting operations. (3) Identify typical hazards associated with crane lifting operations. (4) State the purpose of conducting a pre-use inspection of a crane. (5) Identify typical pre-use inspection criteria for offshore cranes. (6) Identify primary methods of crane operations communications. (7) Identify typical documents applicable to crane lifting operations. (8) Explain how a typical lifting operation is planned. (9) Explain the purpose of the lifting operation risk assessment. (10) Explain the key elements of a lifting operation toolbox talk (TBT). (12) Identify typical unsafe areas and positions of personnel during a lifting operation. (13) Explain how to check the suitability of laydown areas for the crane load. 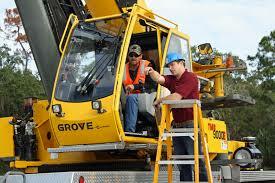 (14) Explain normal and emergency access and egress routes for the crane operator. (1) Identify different types of offshore cranes. (2) Identify the main components on an offshore crane, where they are located and their principle functions. (3) Explain the basic principles of crane stability and crane configuration. (4) Explain what is meant by crane safe working loads (SWL) and the purpose of load charts. 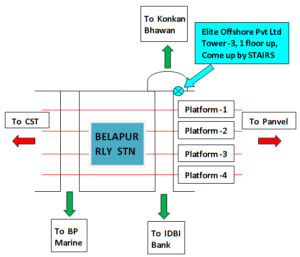 (5) Know how to interpret typical offshore crane load charts. (6) Explain the purpose of rated capacity indicators, how they are used and the use of sea state information. (8) Explain the basic construction of crane wire ropes. (9) Explain the maintenance and inspection that must be undertaken on crane wire ropes. (10) Explain wear deterioration of wire ropes and basic discard criteria. (11) Explain the correct spooling of crane wire ropes on the winch drums. (12) Explain the basic construction of crane pennants and hooks. (13) Explain the purpose of boom, hoist and slew limiting systems. (14) Explain the purpose of constant rope tension systems. (15) Explain the operation and purpose of manually operated overload protection systems. (16) Explain the operation and purpose of automatically operated overload protection systems. (1) Explain the roles of the offshore crane operator, the banksman and the slingers. (2) Identify the main hand signals used for crane operations. (3) Explain radio communication protocols for controlling crane operations. (4) Explain the main requirements of relevant legislation relating to offshore crane lifting operations. (5) Identify the key components of a safe system of work and the typical documents that would be required. (a) Positions of people within the lifting operation area. (b) Helicopter activities on crane operations. (7) Explain typical controls that would be put in place to eliminate / minimise risks associated with above hazards. (8) State three human factor issues which may affect the safety of a lifting operation. (2) Explain the main effects of dynamic loading. (3) State examples of dynamic loading. (4) Explain the principles of constant tension and heave compensation systems. (1) Identify the checks that should be carried out on offshore crane and explain how and when they should be done. (2) Explain typical first-line crane maintenance and defect reporting and recording. (3) Explain how conflicting activities may affect lifting operations. (4) Explain the effects of environmental conditions on crane lifting operations. (5) Explain safe lifting principles that should be employed. (6) Explain safe crane operating techniques that should be employed. (7) Explain the purpose of lifting plans. (8) Explain the key elements of a lifting operation risk assessment. (10) Explain the checks that have to be done for crane load laydown areas. (11) Explain why it is necessary for the crane operator to establish normal and emergency access and egress routes. (12) Complying with the requirements of the risk assessment and lifting plan applicable to the crane lifting operation. (13) Undertaking pre-operational checks on the crane. (14) Undertaking operational and functional tests on the crane. (16) Lifting, transferring and placing loads within the working range and safe working capacity of the crane. (17) Operating a crane to follow a planned load path avoiding proximity and ground hazards. (18) Application of safe operating techniques whilst operating the crane, to include: good swing control, height/distance judgement and control coordination. (20) Correctly responding to banksman hand signals and radio instructions. (21) Correctly implementing crane shutdown procedures and making the crane safe following simulated emgcy alarm. (22) Correctly respond to crane alarms and malfunctions specified.